I first ate empanada at my friend Veronica’s place. Her family comes from the north of Spain and her mother makes a great empanada. She showed me how she makes it and it’s her recipe that I have shared here with you. 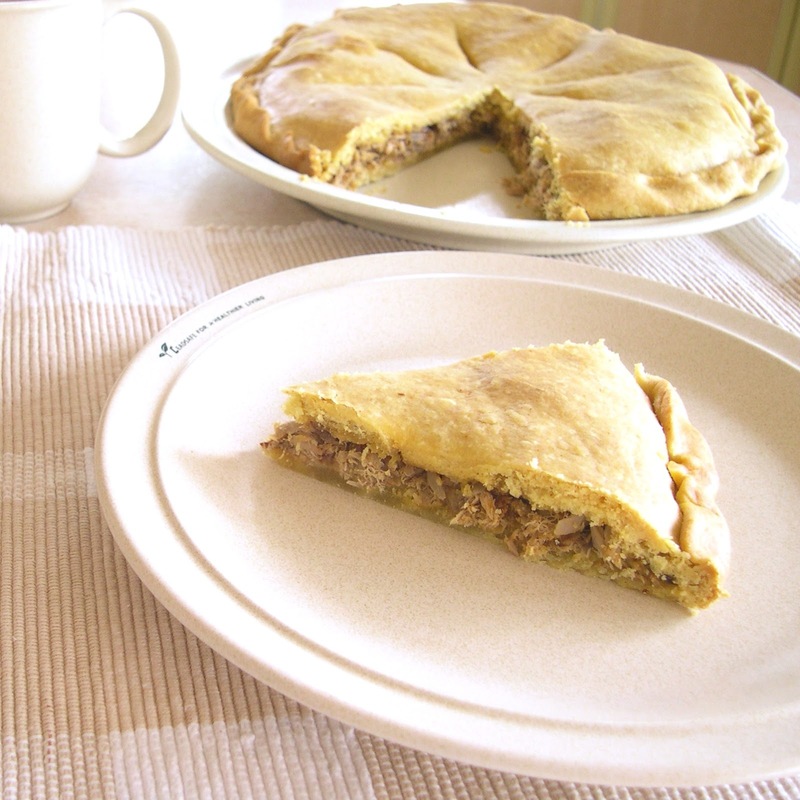 Empanada makes a great dinner served with a salad. This is a recipe that can be made ahead of time as it’s delicious cold. Don’t skip the step to rest the dough after kneading. A well rested dough makes for a light and flaky pastry. Peel the onions and slice finely. Heat the oil in a pan and fry the onions, cinnamon and cloves on low to medium heat until the onions are soft and golden brown. You might need to fry the onions in two lots to get them evenly cooked. Keep the cinnamon and cloves in the oil for the entire time so that the flavours infuse into the oil. Drain the onions, cinnamon and cloves and keep the leftover oil separately as this will be used to make the pastry. Discard the cloves and cinnamon. Place the flour in a large mixing bowl with 1/4 teaspoon of salt. Rub the oil into the flour. Add enough water to make a stiff dough. Knead for 5 minutes until the flour, water and oil are evenly mixed. Leave the dough in a covered bowl for at least an hour. If you skip this step, the pastry will be hard and chewy. 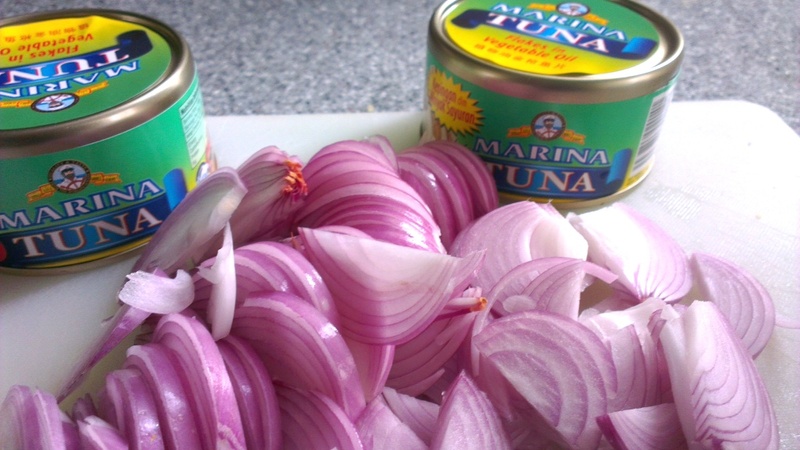 To make the filling, drain off the cans of tuna and place the tuna in a large mixing bowl. Toss in the fried onions, chilli powder and salt and pepper to taste. Mix thoroughly and set aside. After the dough has rested for an hour, divide it into equal halves. 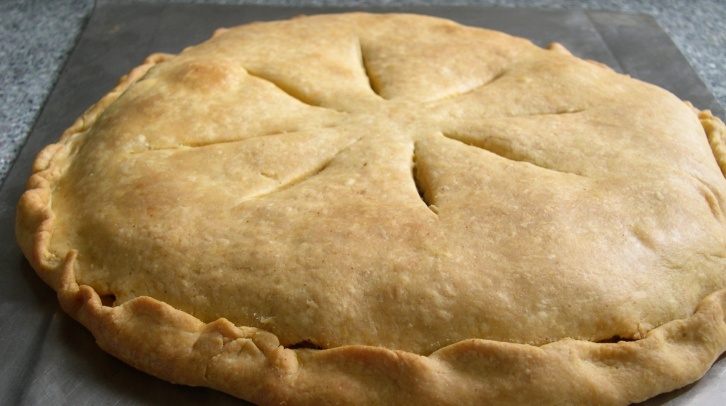 Take one portion and roll it into a circle an until the pastry is at least 1/8 inch thick. The dough should be soft. If it is elastic and pulls in as you roll, you need to let it rest for longer. 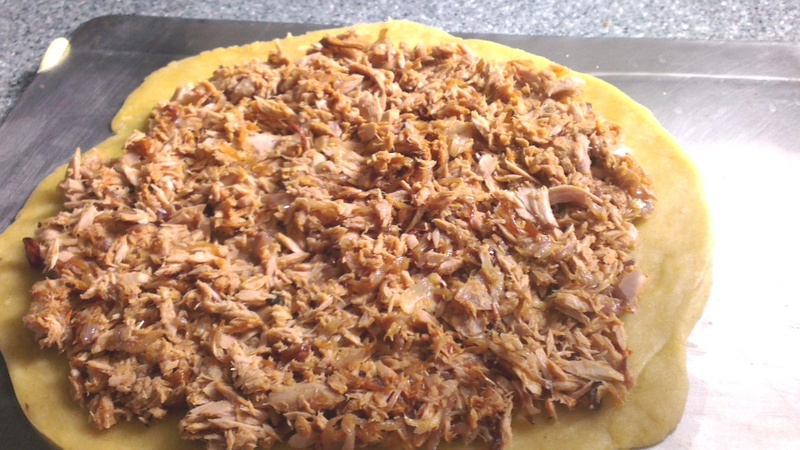 Place the circle of pastry on your baking tray. 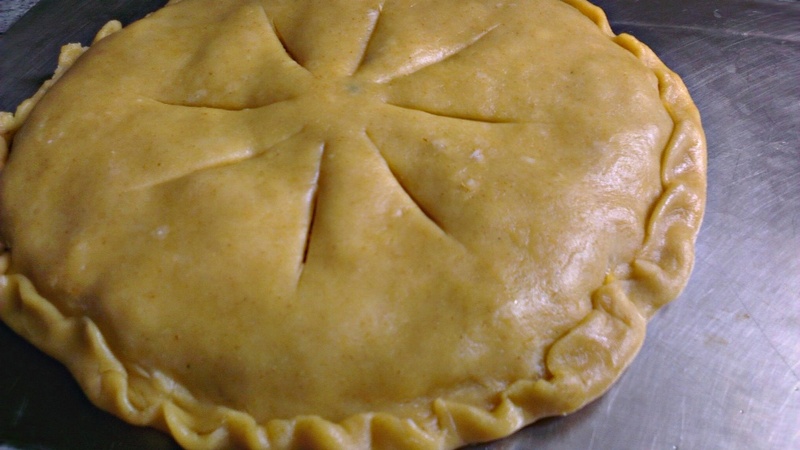 Place the filling in the middle of the pastry circle and flatten it evenly. Leave a half inch margin around the edges to seal the empanada. Roll the second half of the pastry dough into a similar sized circle as your first. Place it on top of the filling and seal the edges. You an either press down a fork on th edges to seal it or you can use your thumb and forefinger to press and roll the edge into a fluted pattern. 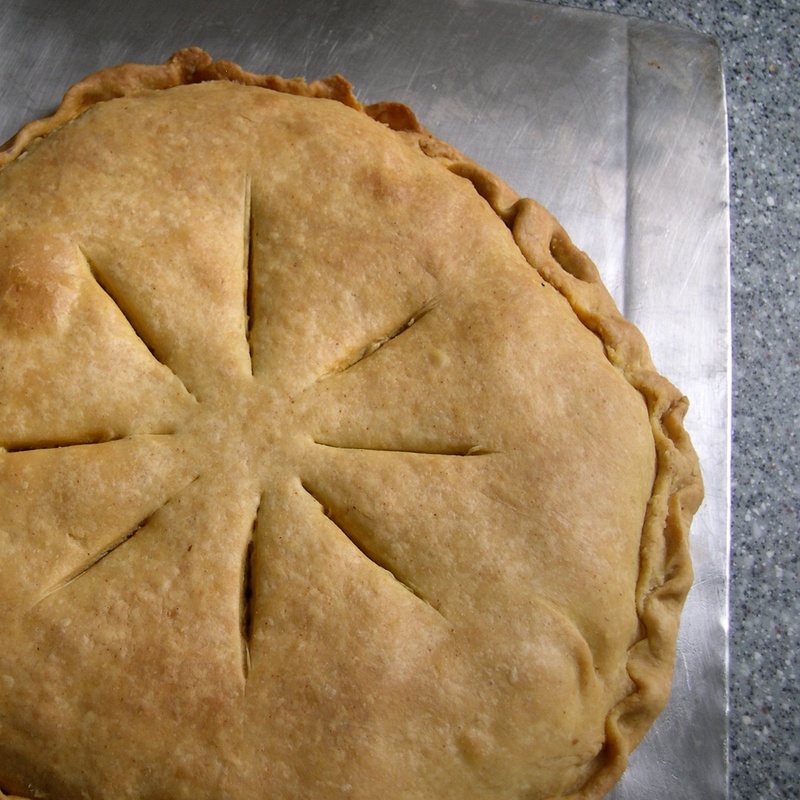 Cut steam holes on the surface of the empanada in any pattern you prefer. Bake the empanada in a preheated 180 degrees oven until golden brown. That should take between 20 to 30 minutes.